The Famous Grouse Oak and sherry aromas. Mature, easy-going and full of bright Speyside fruit flavours with a clean and medium-dry finish. Know someone who has a taste for Whiskey? 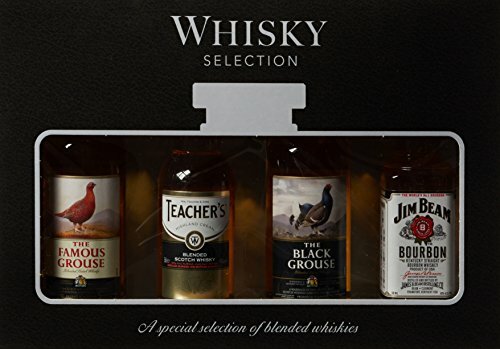 Well this Whiskey gift set includes Jim Bean, Famous Grouse, Teacher’s and The Black Grouse.